The Millennial Quest Series chronicles a family's journey from our time to the Second Coming of Christ, into the Millennium, and finally back through their pre-mortal lives to discover the startling reasons things occur in mortality as they do. This series is unlike any other, in that it tenderly follows their existence through four separate very real world--earth life, millennial life, after-life, and pre-mortality. This bok is the first installment in this sweeping drama. Through heart-warming events and real-life tragedies, their lives are traced through the struggles and triumphs which bring them the great blessings sought by the faithful of every age. This is a timeless romance of lives forever intertwined, of vast blessings gained at incredible cost. It is an immensely engaging story for all who have pondered the sweeping drama of existence, or who have gazed upn the battlefields of life, and wondered why. 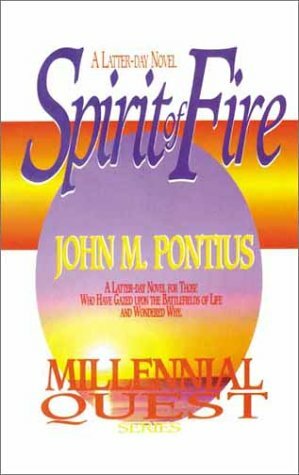 About John M. Pontius (Author) : John M. Pontius is a published author. 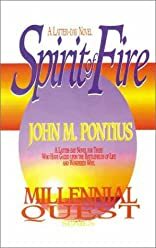 A published credit of John M. Pontius is Spirit of Fire--Millennial Quest.